Whether drawn with pencil or oil pastels, it is characters, nudes and still lifes that are the preferred themes of this artist from Lower-Normandy who is Bernard Sorel. And this time, the various regional juries made not mistake in awarding him the most noteworthy prizes that are every bit as noteworthy as his works, which are in turn unforgettable in terms of their originality and brilliance. For example, the prizes awarded by the Lower-Normandy Artist's Salon Committee, and more recently by the Town of Caen, have brought this artist a reputation that is as deserved as his works are captivating. 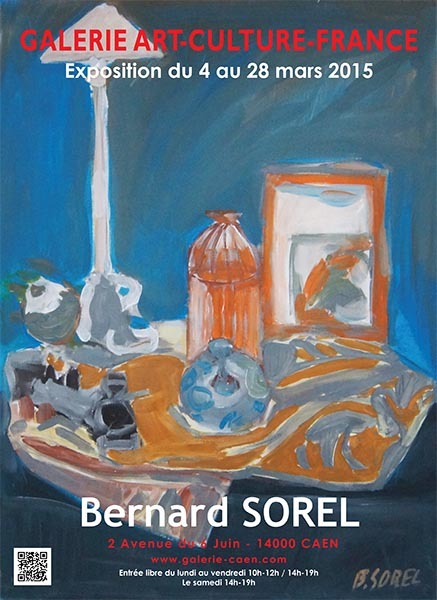 The way in which Bernard Sorel conceives his characters is daring and risky: with a broad and unctuous brush-stroke, he literally constructs beings that are both strange and incredible. Far from the conventions of classical beauty, his characters are unattractive, angular, and devoid of any sensuality we can identify with, which is something that is both embarrassing and appealing. 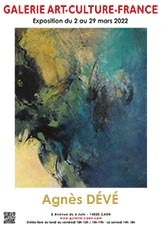 And this is developed further by the free and tumultuous way in which the artist applies fluid colours. The aggressive use of shades of the same colour contributes to further enhancing the duality that exists between the painter and the model, and this can be found even in his expressive still lifes and narrative pieces.